Bill Clinton on Keeping Your Healthcare. Period. Bill Clinton knows the meaning of “period“. He took this opportunity to drive the Hillary Machine off the tracks of the ObamaCare train wreck when he said the president should honor his commitments to people who lost their health care. 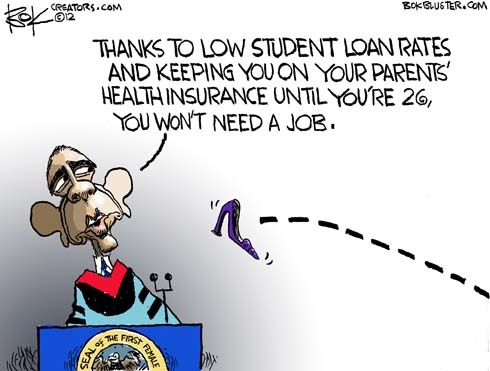 Easier said than done, considering nearly 5 million insurance contracts have been vaporized. “So I personally believe, even if it takes a change to the law, the president should honor the commitment the federal government made to those people and let them keep what they got,” Clinton said during an interview with the website OZY.com. Wonder if he’ll insist the president come clean with the people on the meaning of “what difference does it make“? Looks like the king is trying to put it back together again. He wants to use prosecutorial discretion to let people keep their old plans. Howard Dean thinks that’s illegal. Back when George W Bush was putting together his coalition of the willing, to kill people and break stuff in Iraq, Colin Powell warned they were under Pottery Barn rules: you break it you own it. 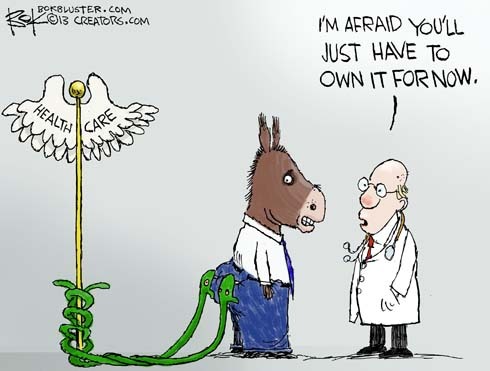 It appears that Democrats have broken the health care system. 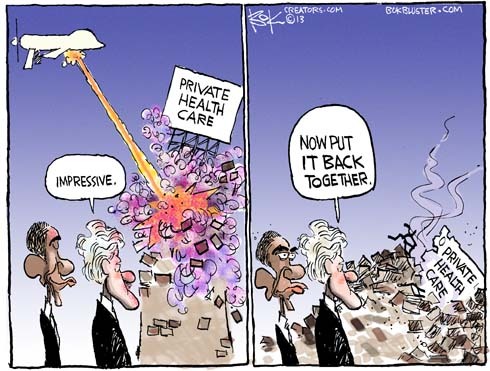 They transformed it by cramming through the Affordable Care Act, under special rules, on a Christmas Eve, with a completely partisan vote, featuring Cornhusker Kickbacks and Louisiana Purchases. Now the thing doesn’t work. Rich Lowry says that rather than try to help fix it, Republicans should let them own it. 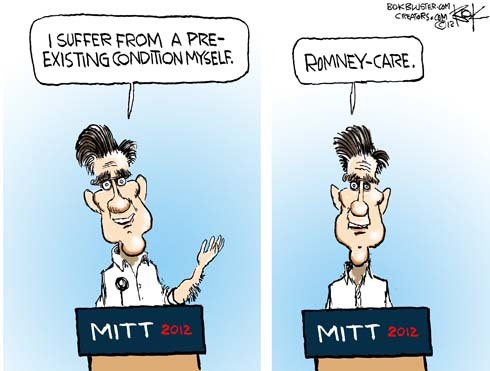 Romney says he wants to cover pre-existing conditions but he’s having trouble explaining how his plan is the same, but different, from Obama’s. If you’re going to poach a cartoon go big. This is from Join, or Die, America’s first editorial cartoon, by Ben Franklin. 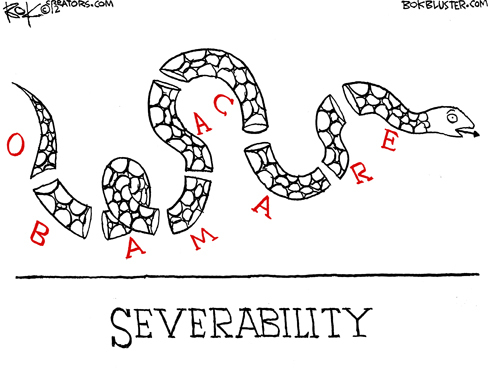 Severability is a precise legal term meaning to chop up into itty bitty pieces.